FRANKFURT (Bloomberg) -- Audi wants to rein in costs by about 2 billion euros ($2.5 billion) a year to offset surging spending on new technology, according to people familiar with the matter. The automaker will seek to limit expenditure growth in areas such as development, purchasing and manufacturing to safeguard profit margins, said the people, who asked not to be identified as details of the initiative are confidential. Audi CEO Rupert Stadler outlined "a fitness program" in a July letter to employees, saying the company must brace for the increasing cost of developing electric vehicles, self-driving and communications features and new plants. Julio Schuback, an Audi spokesman, referred to Stadler's recent statements and declined to comment further. Audi, the biggest earnings contributor at parent company Volkswagen Group, is introducing 17 new or revamped models in 2014, and has revived development of an electric version of the R8 sports car to advance its goal of surpassing premium-market leader BMW Group in brand sales. Audi has a 22 billion euro investment budget for the next five years, with 70 percent of the spending going toward new products and technology. Most of the rest is allocated to expanding manufacturing capacity, including new plants in Brazil and Mexico. BMW retained the top spot in global premium-car sales for the ninth straight year in 2013 with sales of 1.66 million core-brand vehicles, while Audi sold 1.58 million and No. 3 Mercedes-Benz sold 1.46 million cars and SUVs. Both Audi and Mercedes have vowed to overtake BMW in sales by the end of the decade. All three carmakers expect demand to rise further in 2014, fueled by growth in China and North America. Audi plans to sell more than 1.7 million cars this year for the first time, helped by models including the compact A3 sedan and a revamped version of the TT sports car. Targets this year also include a revenue increase and maintaining operating profit within a long-term corridor of 8 percent to 10 percent of sales. The six-month margin was at the top end of the range at 10 percent. Stadler reiterated the target corridor last week at a Paris auto show press briefing. 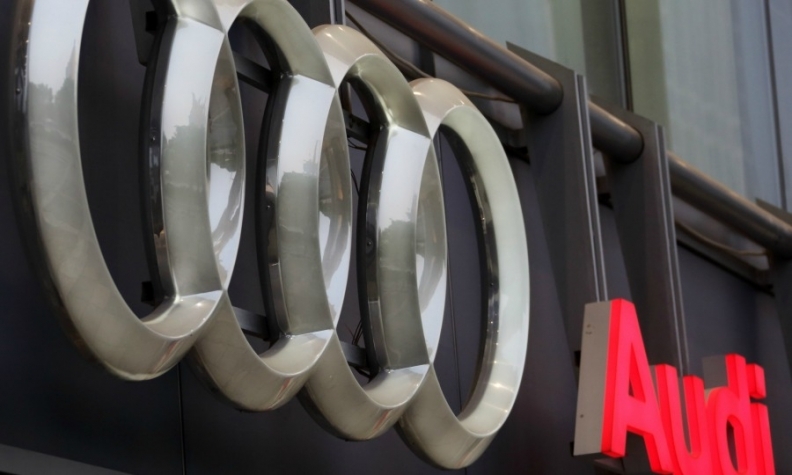 Audi's investment plan is unchanged and efficiency gains may allow the company to develop "one or two additional derivatives" of existing models from the earmarked budget, he said. Audi is also a key part of Volkswagen Group's strategy to take the global auto industry's top sales spot from Toyota by 2018. After years of emphasizing delivery growth, the German group has been shifting focus to profitability. At the VW car brand, the manufacturer's biggest unit by volume, CEO Martin Winterkorn has a set out a program to boost productivity and save costs by 5 billion euros by 2017.